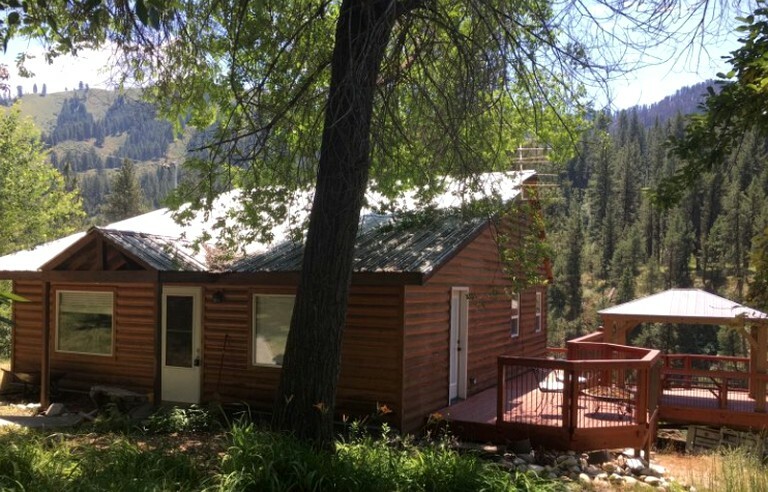 This cozy cabin rental is perfect for a riverside getaway on the Payette River in Garden Valley, Idaho, and can accommodate up to six glampers. 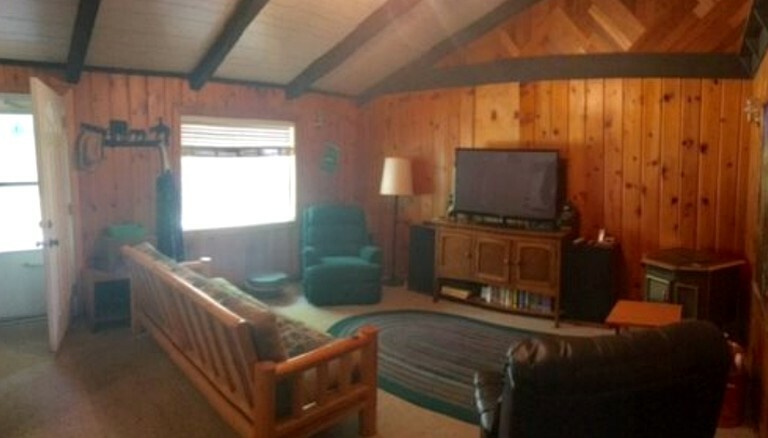 The cabin offers two bedrooms and one bathroom. 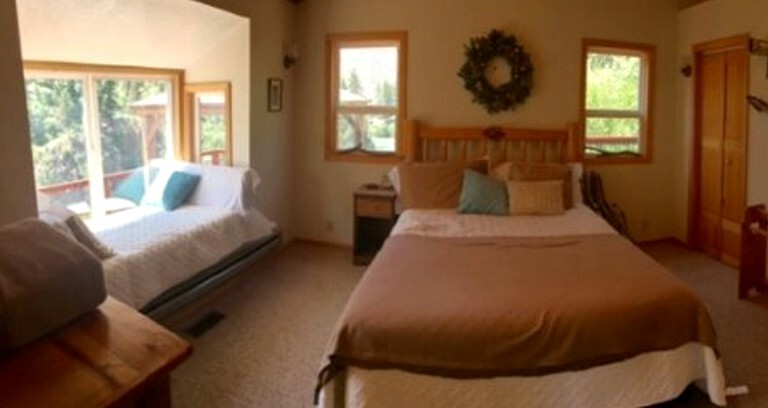 Glampers will find a queen-size bed in each room, as well as a futon and a window seat, perfect for a child. The bathroom comes with modern amenities and linen and towels are provided for comfort and convenience. In the living area, glampers will find comfy sofas, a flat-screen TV, Wi-Fi access for Netflix and keeping in touch, and an ample light. The kitchen is well equipped and offers appliances ideal for preparing family favorites. There is a dining table for sharing meals. Other amenities include air conditioning. 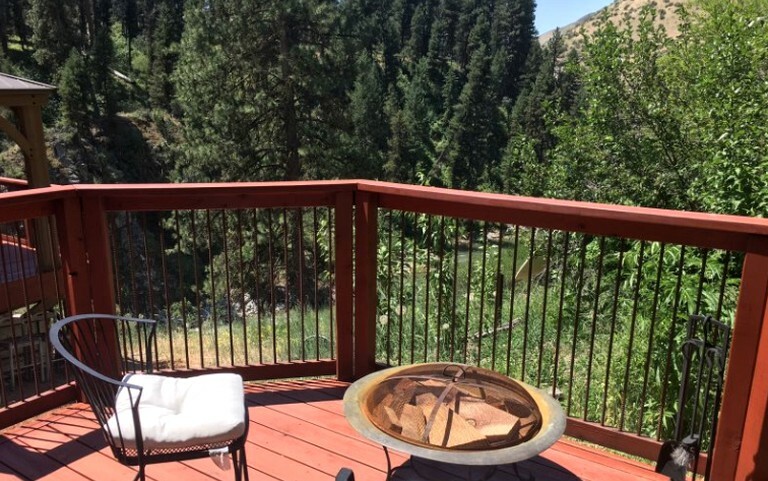 This vacation rental offers glampers the creature comforts of home while being surrounded by Idaho’s rugged yet scenic beauty. With amenities and facilities such as linen and towels, a television, a fully-equipped kitchen, and ample entertainment both indoors and outside, any discerning glamper will feel right at home here. 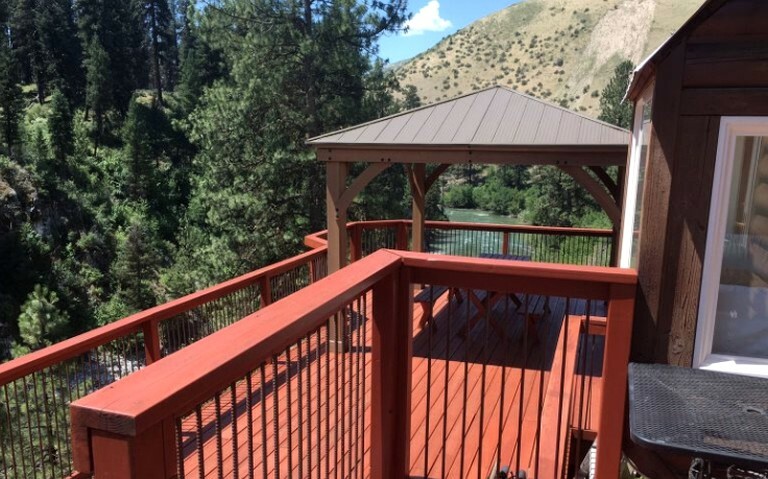 Boise County, Idaho certainly offers glampers of all desires and skills something spectacular. Garden Valley is sequestered along Idaho’s Wildlife Canyon Scenic Byway with breathtaking views that give way to deep canyons, river gorges, mountains, and rolling pastures. For the adventurous, the national parks surrounding the area offer activities such as hiking, biking, and climbing, while the Snake River, which divides Oregon and Idaho and runs through Hell’s Canyon, offers glampers water-based activities. 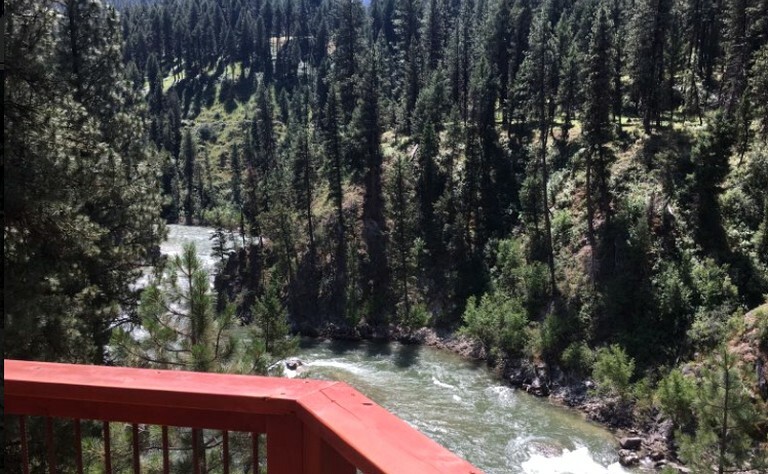 Glampers can pack a picnic and head to the Payette River, which flows nearby. Glampers will love taking out a canoe, a kayak, or cast a line for some epic fishing opportunities. 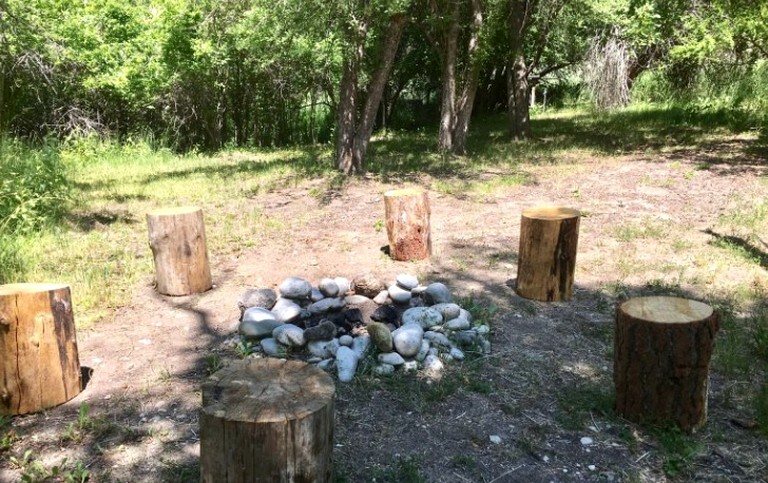 Glampers of all ages can cool off in the summer heat with a swim and a splash in the refreshing waters while someone prepares the picnic on the lush banks of the river. Other incredible outdoor recreation opportunities include visiting some of the Hot Springs in the area, whitewater rafting, zip lining, and of course, in the winter time, glampers can take to the slopes of Bogus Basin with trails for all skiers and riders, which is located in Boise.